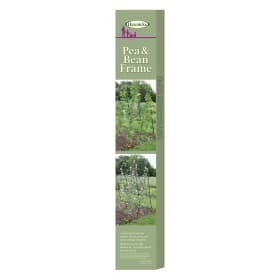 If you are short on space but not on creativity in your garden then our range of architectural growing frames provide the perfect solution! This ornamental plant support is made from Sturdy, fully galvanised steel with a high quality powder coated finish. 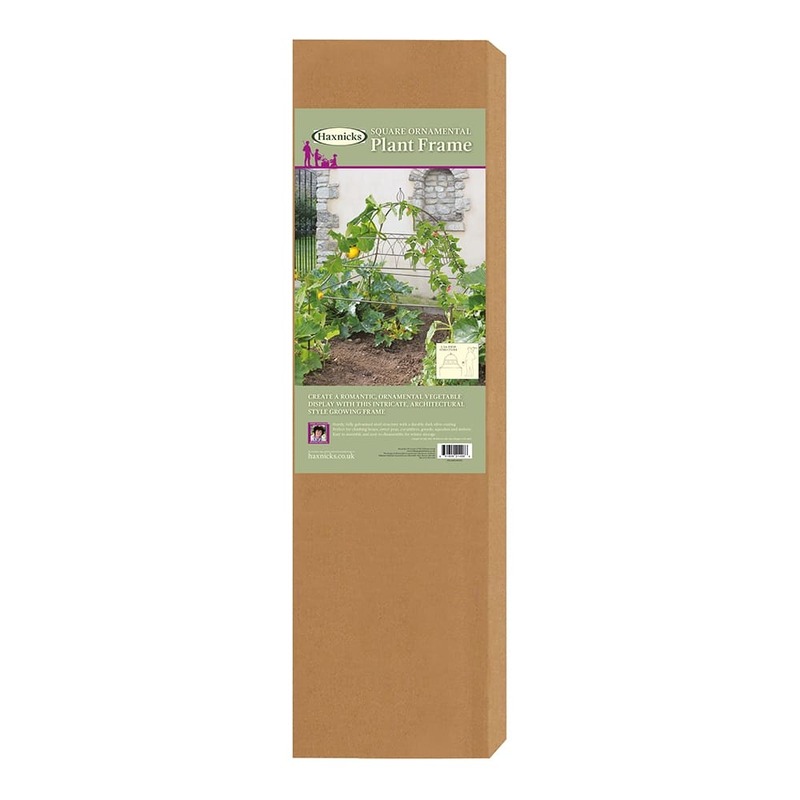 Easy to assemble and disassemble for winter storage, the Square Ornamental Plant Frame is perfect for gourds, squashes, melons and also climbing beans, sweet peas and cucumbers. 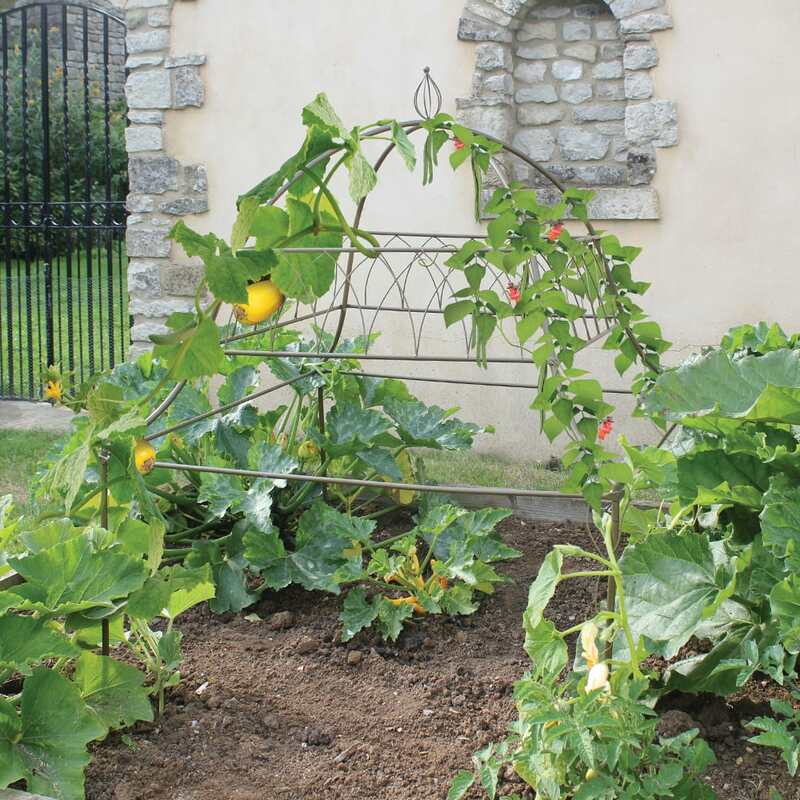 Growing vegetables such as gourds and squashes normally requires giving up a large part of your vegetable garden, but by training the veg up the plant support, and making the most of vertical growing space then only 1 square metre of ground space is required. 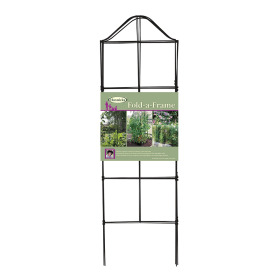 The Square Ornamental Plant Frame is pretty and practical!